I'm an animal lover....and this week at Eureka Stamps our theme is "Animal Friends". Just use an animal image in your card and join in the fun!! I used "Bunny Pile" for my card. The bunnies were left white and I used Spica Glitter pens for the flowers. 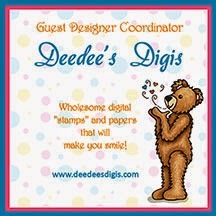 Come on over to Eureka Stamps and show us your animals.....I'd love to see them!!!! This is just delightful with the soft pastel colouring. OH My! These are the cutest bunnies! Zella, this is such a sweet card. Beautiful! So cute Zella. This would make a wonderful Easter card. What an adorable card, Zella!! I like your bunnies pile! A good card for all birthes, I have this year. Good luck for Crafty Ribbons Challenge from DT. Awesome paper and the image so super cute. Great job and love those pearls. Thanks for entering our Pearls challenge at 4 Crafty Chicks! This is such an adorable card...your pile of bunnies are the sweetest & your colouring is perfect. And the pearls just finish this off so well.Thanks for playing along at 4 Crafty Chicks with us. What a cute image and pretty pastel colors! Thanks for joining us at Inkspirational! Pretty pastel card. Love those bunnies. So fun! Just so sweet! Thanks for joining us at Inkspirational!